What gadget could you absolutely not do without? Back in 1780, after he allegedly instigated a riot, an industrious rogue by the name of William Addis was languishing in a London jail. Turns out, the dental well-being of Her Majesty’s guests was hardly a priority in 18th century English prisons, so it occurred to Addis he could do better than the old tried ’n’ true method of rubbing his gums with salt and a sooty rag. Asking a guard for some horse-hair bristles, Addis drilled small holes into a small animal bone (probably from a rodent he’d just eaten) and then tied the hair into tufts, threading them through the bone and gluing them into place. So, after inciting a mob, bribing a guard and killing a rat – voila! – the first toothbrush was born. Addis immediately twigged to the commercial potential in his design and started a company selling his new invention to the public. He became mega-rich virtually overnight. And when he died in 1808, presumably with a full set of sparkly whites, he left Wisdom Toothbrushes to his son. They still make toothbrushes today. However, while an Englishman may get all the credit, the practice of brushing teeth with a tool was hardly Addis’s idea. In fact, historical documents show that the hair-bristle toothbrush made its first appearance in China’s 7th Century-era Tang Dynasty, and were brought back to Europe by travellers during the Middle Ages. Moreover, anthropological excavations suggest the habit of teeth cleaning is prehistoric, going back as far as 3000 BC. In Indian Ayurvedic medicine, gnawing the end of the small twigs of the neem or banyan tree until the fibrous material splays and softens, then used to scrub the teeth, has been custom for millennia. The first recorded description of this appears in a Chinese historical text dated 1600 BC. Even in the pre-Islamic world, the use of miswak (a chew stick taken from the Arak or Salvadora persica tree) was commonplace, and was later endorsed by the Prophet Muhammad, who recommended the practice be incorporated into daily prayer ritual. By 1840, like the Sony Walkmans of the 1980s, toothbrushes were the height of European fashion. Building upon Addis’s basic bone-handle design, the more expensive toothbrushes utilised badger hair for bristles, the cheaper ones, Siberian boar hair. But it wasn’t until 1857 that a clever American named H N Wadsworth actually filed a patent for the toothbrush, and by 1885, they were on sale everywhere. The turn of the century eventually saw bone handles phased out by celluloid ones, and in 1938, the textile company DuPont introduced the first synthetic nylon-fibre toothbrush. 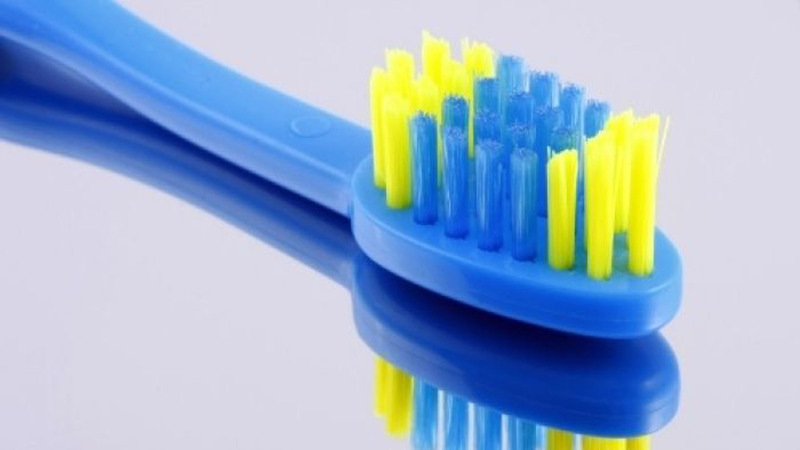 (Unsurprisingly, animal-hair bristles regularly fell out of the handles, retained bacteria and probably weren’t the most flavoursome things to clean your teeth with.) Then, in 1954, an electric toothbrush called the Broxodent was invented in Switzerland, but it wasn’t marketed to Western markets by the Swiss company Squibb until the ‘60s. Today, despite their multiple iterations, wildly imaginatively designs, gimmicks and marketing strategies, most toothbrushes utilise the same basic shape with nylon bristles and thermoplastic handles. 1780: William Addis “invents” toothbrush, and begins mass-producing them. Neither Chinese communist leader Mao Tse-tung nor billionaire recluse Howard Hughes brushed their teeth. The toothbrush used by astronaut Buzz Aldrin on the Apollo 11 mission recently auctioned for $23,000.